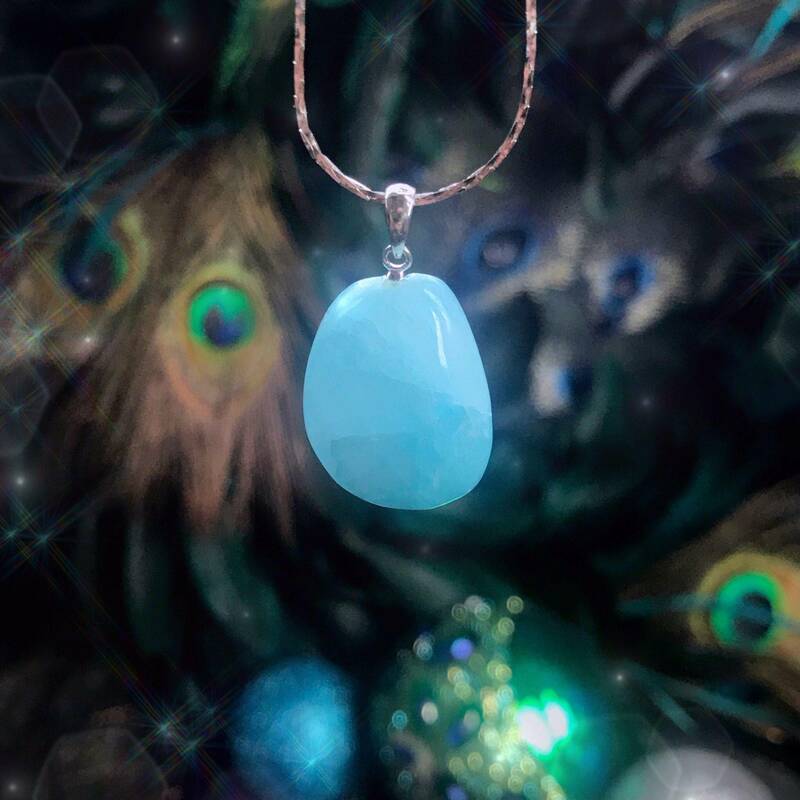 Peace, illumination, and healing: this is the magic and medicine that these Supreme Tranquility Blue Aragonite Pendants so powerfully bring forth. 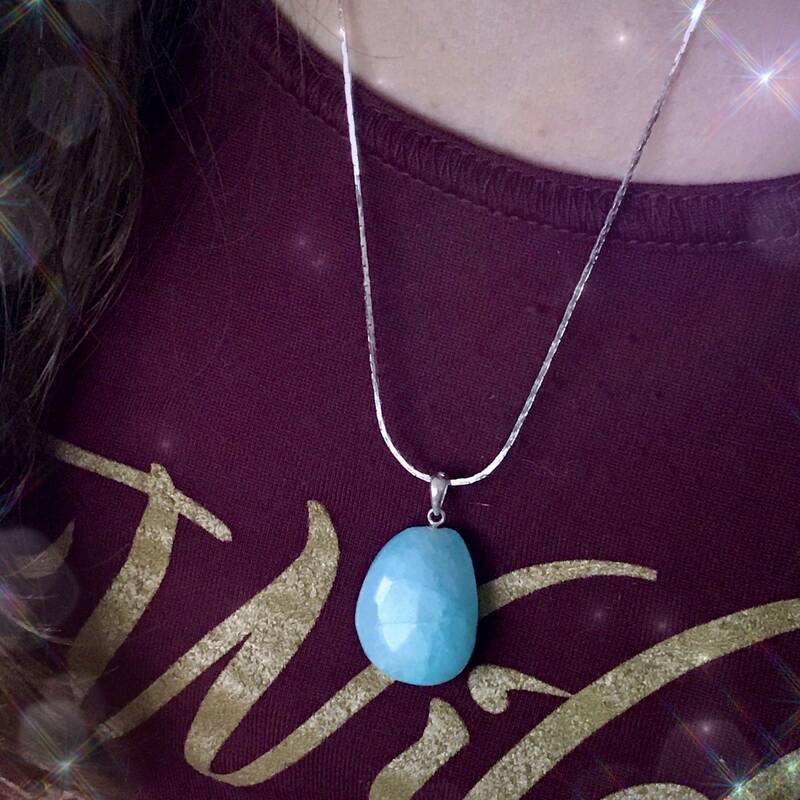 Made of tumbled blue aragonite and set in a 925 sterling silver bail, these pieces are incredibly soothing and beyond beautiful – and they’re ready to share their sacred magic with you. I rarely offer blue aragonite, because it’s so difficult to source. 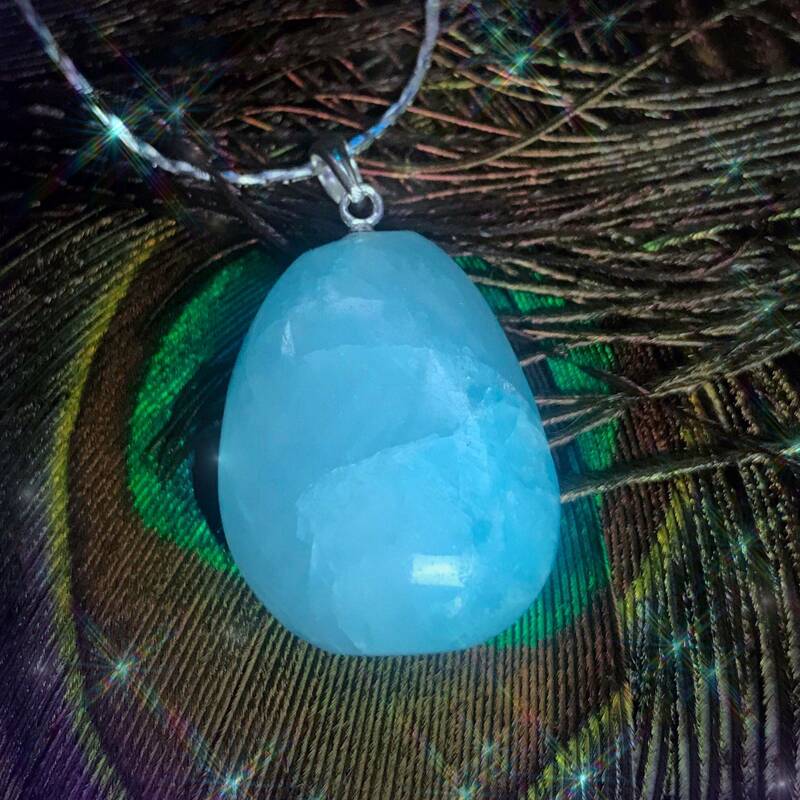 One of the most amazing aspects of blue aragonite is how closely it is connected to not only the earth but to all of life itself. Because aragonite is a carbonate mineral, it is formed by naturally occurring biological and physical processes, including precipitation from marine and freshwater environments. While the name derives its significance from its location of discovery, Molina de Aragon in Guadalajara, Spain, it is also found in the United States in the form of “cave flowers”. Massive deposits of aragonite sand have been found covering the seabed in the Bahamas. With soothing shades of pure cobalt, indigo, cerulean and teal blue, these gorgeous Supreme Tranquility Blue Aragonite Pendants embody supreme peace. 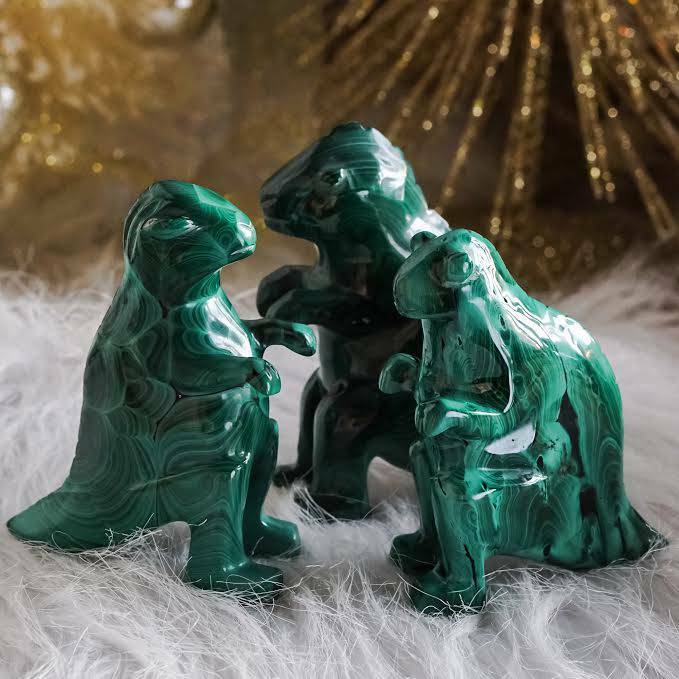 They will inspire empathy within you and enhance your communication skills – particularly when it comes to communication with spirit guides and elders. 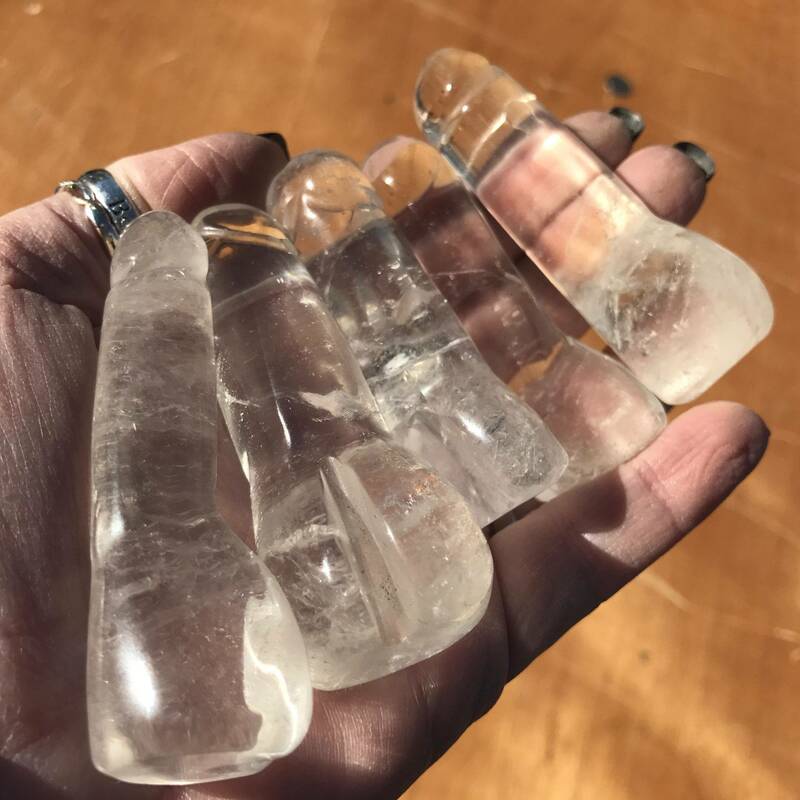 They also hold the power to stimulate your Third Eye, Throat, and Heart Chakras, creating a vibrant bridge between feeling, expression, and intuition. 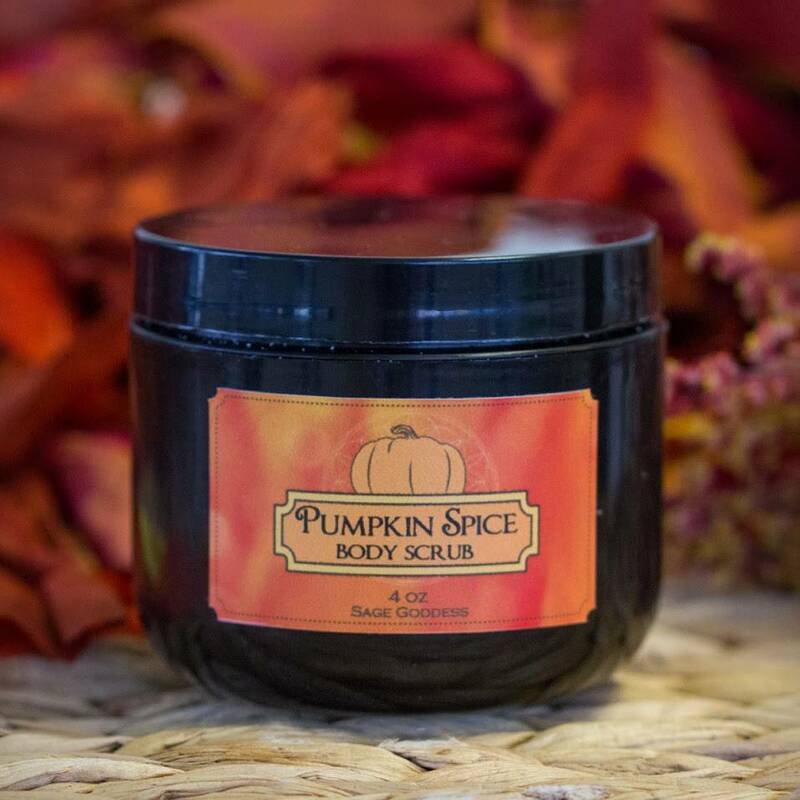 Wear yours whenever your spirit longs for calm, or use it in meditation to surround yourself in its pacifying energy. Allow its vibration to instill you with the wisdom that all is well and as it should be, and everything you long for is coming to you in perfect time. And so it is. 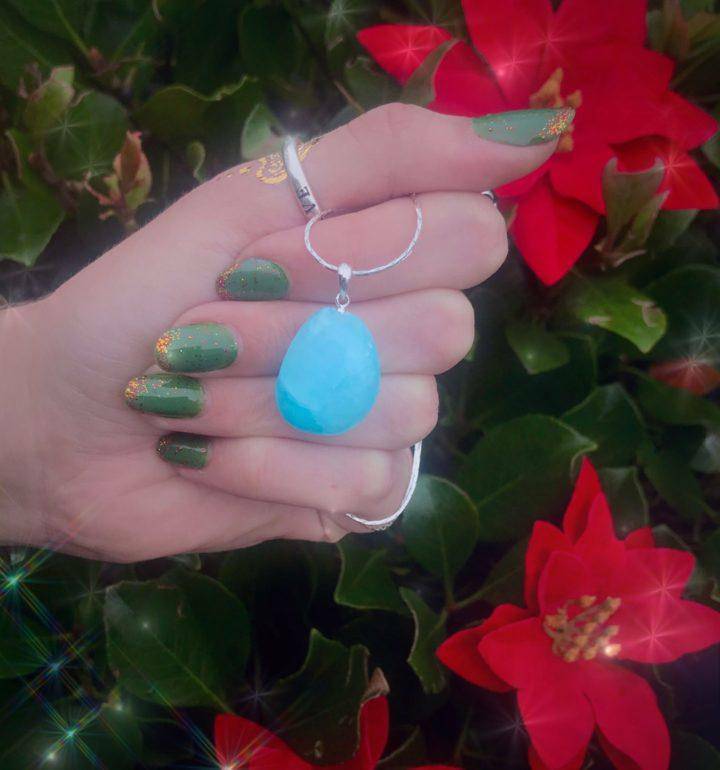 This listing is for one (1) Supreme Tranquility Blue Aragonite Pendant (about 1”) on a 925 sterling silver bail. Yours will arrive strung on a silvery chain, lovingly parceled along with a single leaf of white sage and a card describing the properties of the stone.